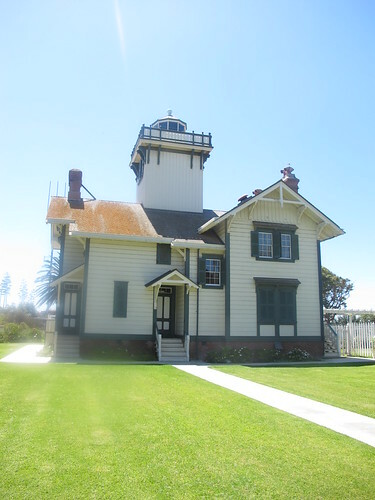 Built in 1874, the Point Fermin Lighthouse hasn't actually operated as a lighthouse since World War II. But the historic Victorian structure has been saved from the wrecking ball and preserved, now as a museum, managed by the City of Los Angeles' Parks and Recreation department. 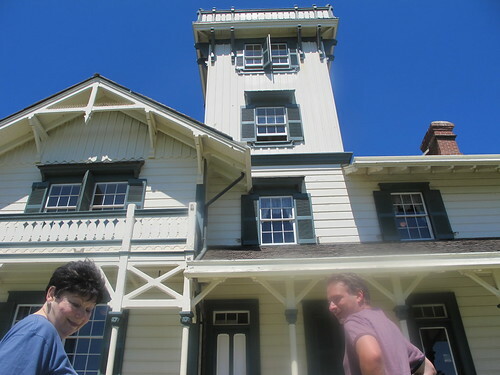 Paul J. Pelz, a draftsman for the US Lighthouse Board, designed the Stick Style Victorian lighthouse. The design was used for six lighthouses built between 1873 and 1874, of which three are still standing. The Stick Style is an early Victorian architectural style and is simpler in design and decoration than the later high Victorian period. It is characterized by its gabled roofs, horizontal siding, decorative cross beams and hand carved porch railings. On December 7th, 1941, Pearl Harbor was bombed and the coast was blacked out for fear of being a beacon to enemy ships and planes. Sadly, the light was never to be lit again. 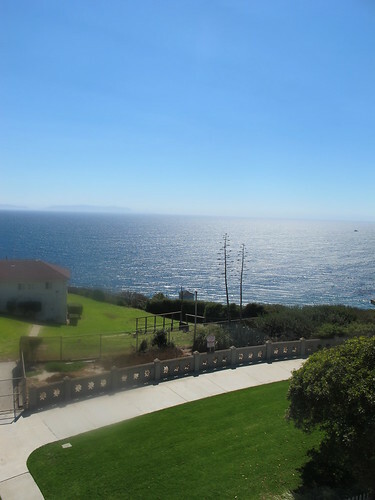 During WWII, the lighthouse served the US Navy as a lookout tower and signaling station for ships coming into the harbor. 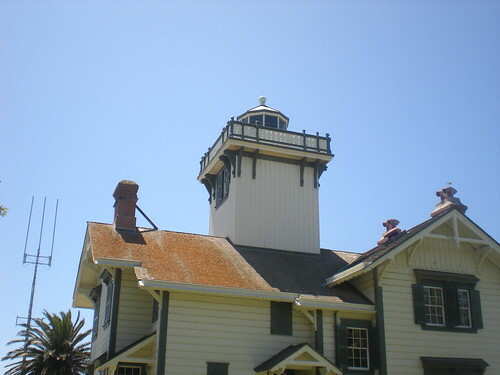 After WWII, the lighthouse was again turned over to the City of Los Angeles for use as a residence for park maintenance employees. 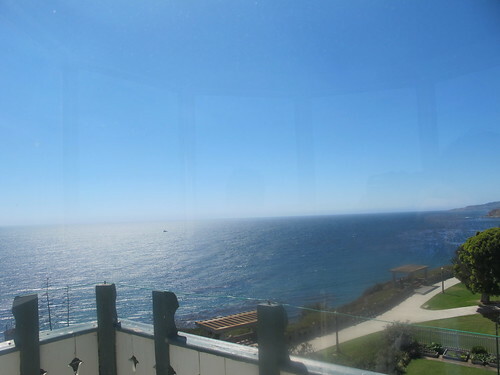 It was during WWII that the lens and lantern room on top of the lighthouse tower was removed and a square room was set in its place. This unsightly addition was often referred to as the "chicken coop." 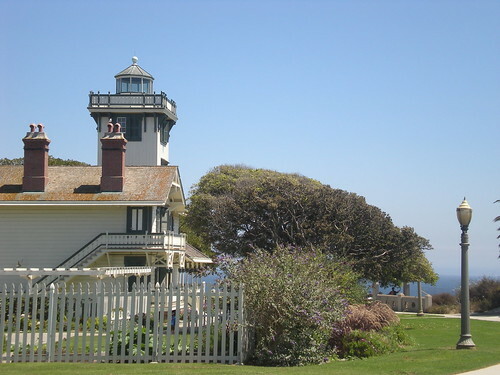 In 1972, two devoted citizens, Bill Olesen and John Olguin, raised funds and worked diligently to replace the lantern room and the lighthouse to its original glory for her 100th birthday in 1974. 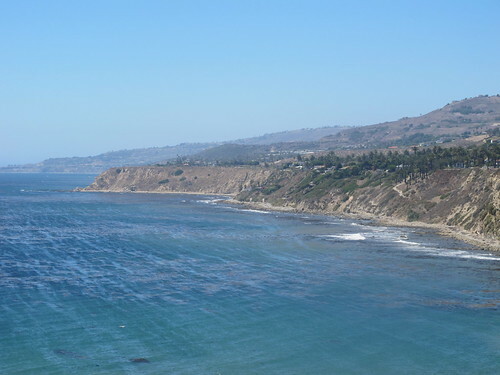 Their efforts also placed the lighthouse on the National Register of Historic Places. 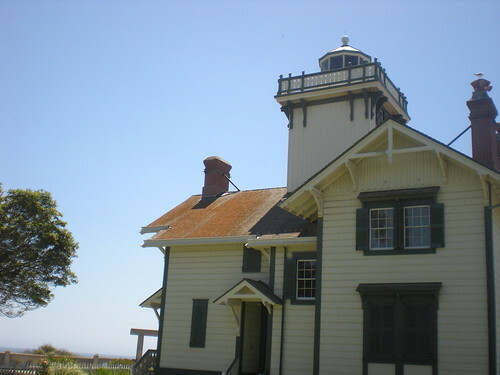 In 2002, the lighthouse was restored, retrofitted, and rehabilitated for public access with funds from the City of Los Angeles, the Port of Los Angeles, and the State of California. 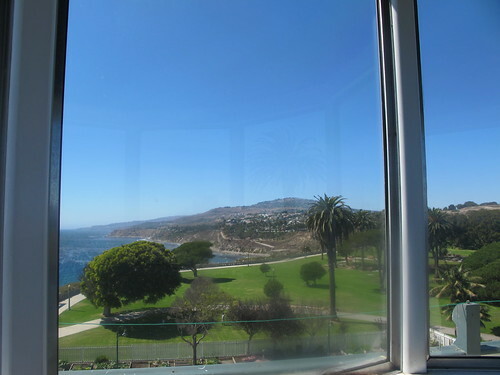 Tours are conducted at the lighthouse Tuesdays through Sundays from 1 p.m. to 4 p.m. The tours are free, although a donation is recommended.